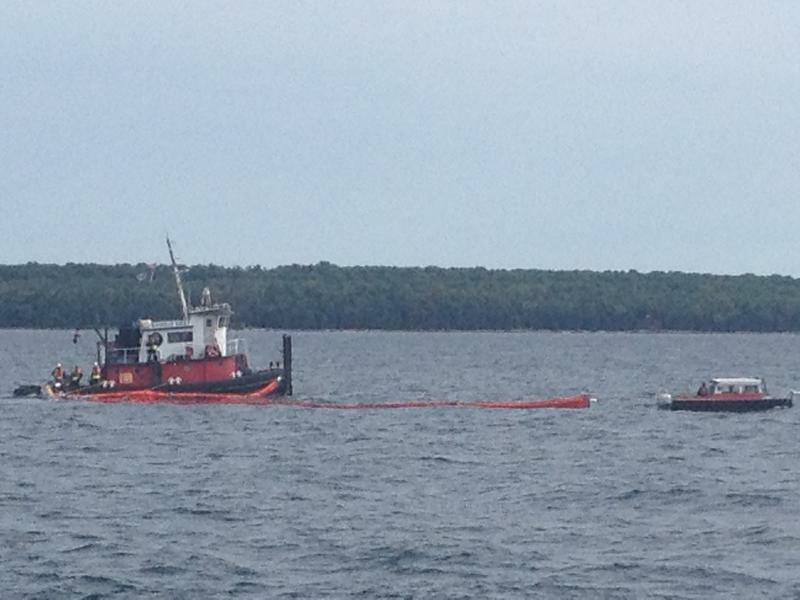 A dive team works on Line 5 under the Straits of Mackinac. 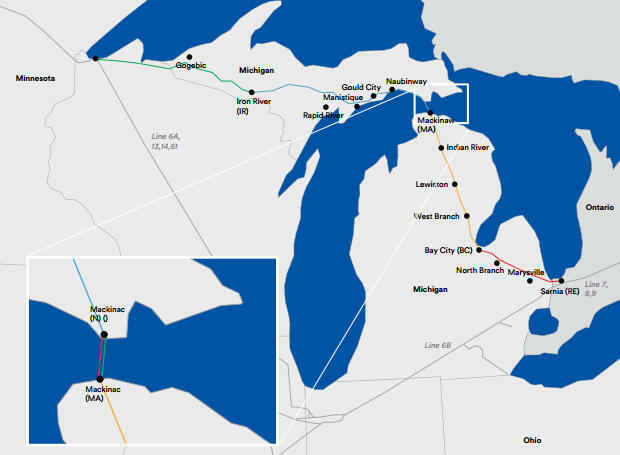 In 2014, Michigan Radio and the state of Michigan asked Enbridge for more details regarding the safety of the pipeline. The company released some information to the state and to us, but stopped short of providing details about what their diagnostic tools were showing. An image of the tool used to measure corrosion in oil pipelines. Enbridge released a short summary of its inspection records from 2013. The summary shows corrosion in nine spots along the easternmost pipeline. Both pipelines are 20 inches in diameter, and have a wall thickness of .812 inches (thicker than onshore parts of the Line 5 pipeline). … there were nine metal loss corrosion features identified by the MFL tool on the nearly five-mile East Straits pipeline, all of which were located on the on-shore portion of the pipeline. For these nine features, the average maximum depth was 10 percent of the wall thickness, and the average length was 1.7 inches. Enbridge’s Jason Manshum says the company has been watching those areas. He says they look for changes over time. "And with those areas, there actually isn't any areas changing." Pipeline regulations require immediate action for areas where metal loss is greater than 80 percent of the wall thickness, or a predicted burst pressure is than less than the maximum operating pressure (MOP). A table showing metal loss and mill anomalies along the east and west Enbridge pipelines under the Straits of Mackinac. Data from 2013. In addition to corrosion, the company says certain parts of the pipelines are not as thick as .812 inches. It says those are places where the pipe thickness varies because the way it was originally manufactured. The depth of these variations in wall thickness are found in both pipelines. On the eastern pipeline, wall thickness reaches .512 inches in some places (or 37% less than the original wall thickness). And on the western pipeline, wall thickness reaches .479 inches in some places (or 41% less than the original wall thickness). Again, Enbridge says these areas of the pipeline are "well within safety thresholds." I reached out to one pipeline safety expert, Rick Kuprewicz of Accufacts, Inc. He told me that his first impression of summary information is that he didn't see anything alarming. "All pipelines have corrosion," he said in an e-mail. 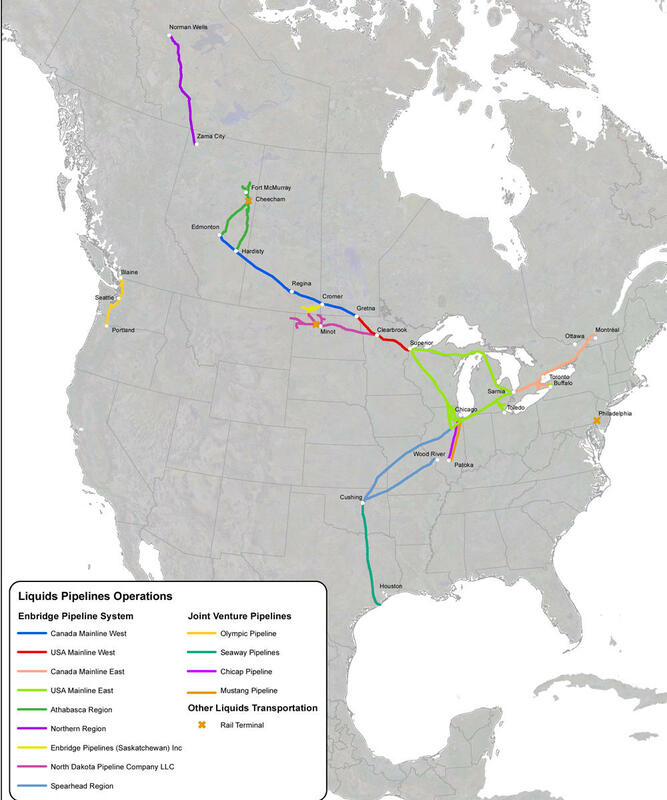 A map showing the Enbridge pipeline network. He said the data they released are still incomplete. Kuprewicz says what's really needed is more information on what their field inspections show, along with the data from the inline inspection tools (or ILI tools). "There can be a wide range in what the ILI tool calls and the actual field measurements, even for highly advanced corrosion ILI tools," wrote Kuprewicz. He says it's important to know whether the company is keeping a close eye on those areas. Enbridge officials say they are. 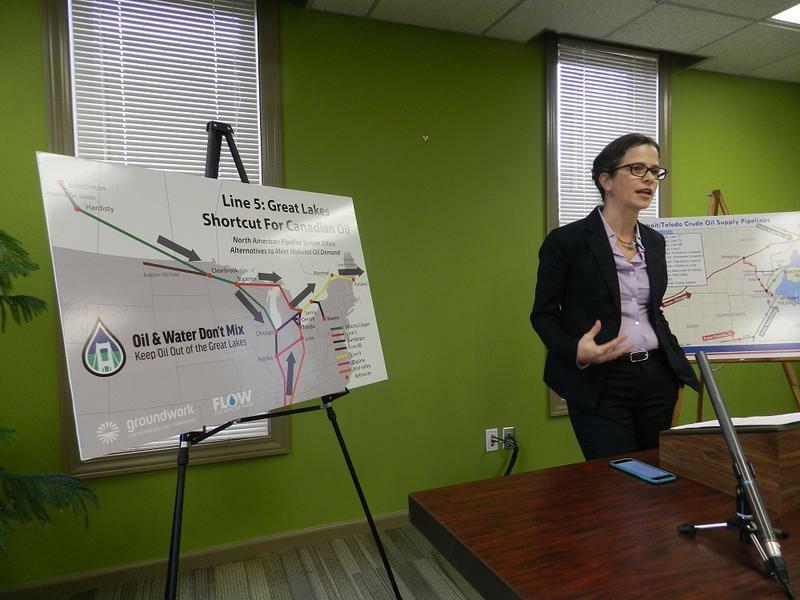 What could be a bigger problem, says Kuprewicz, is the condition of Line 5 on the onshore portions of the pipeline. Listen to my interview on Stateside about the latest report from Enbridge. *Clarification: An earlier version of this story left out the word "less" when describing the percentage of wall thickness compared to the original thickness. It has been corrected above.